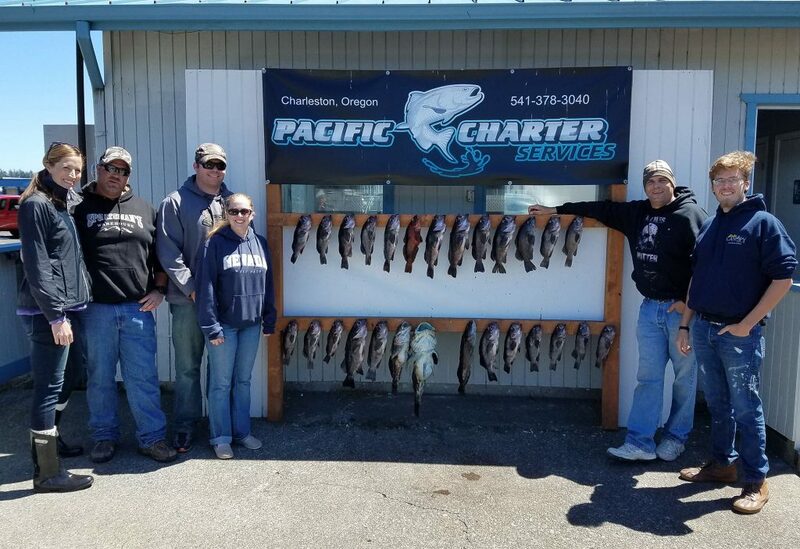 Got limits of rockfish and some crab before the wind picked up and roughed the ocean up again. We had another great bunch of people today and had a lot of fun and laughs. 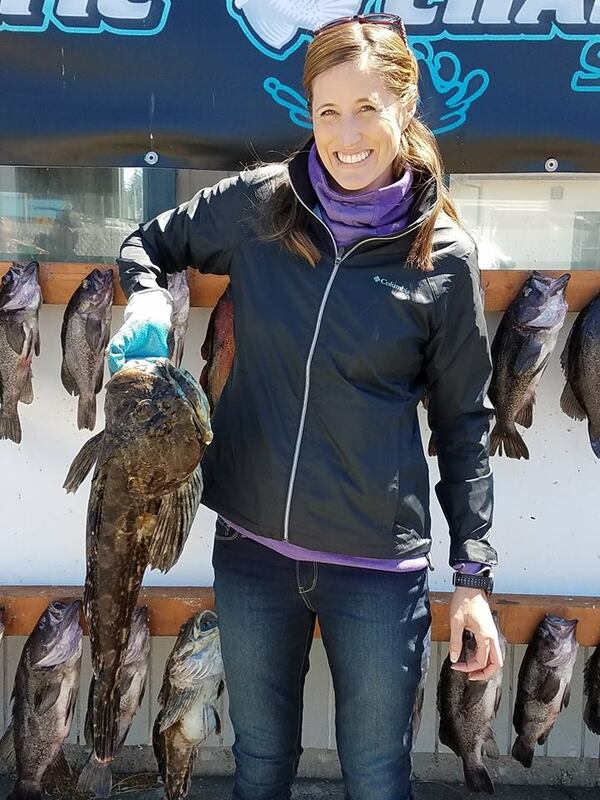 Caught a really big Cabezon and made this young ladies day.